Home FAQs Can I use the Monarch DNA & PCR Cleanup Kit to purify oligonucleotides and other short DNA fragments? FAQ: Can I use the Monarch DNA & PCR Cleanup Kit to purify oligonucleotides and other short DNA fragments? Yes! 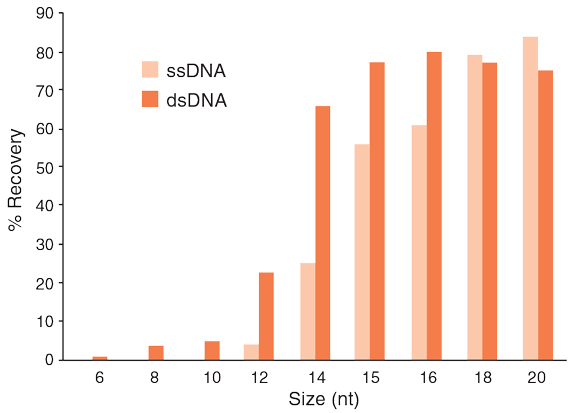 A simple protocol modification of adding ethanol to the sample before binding increases the binding efficiency of small DNA to the matrix, allowing oligos and short dsDNA to bind to the column. Please refer to the Oligonucleotide Cleanup Protocol.